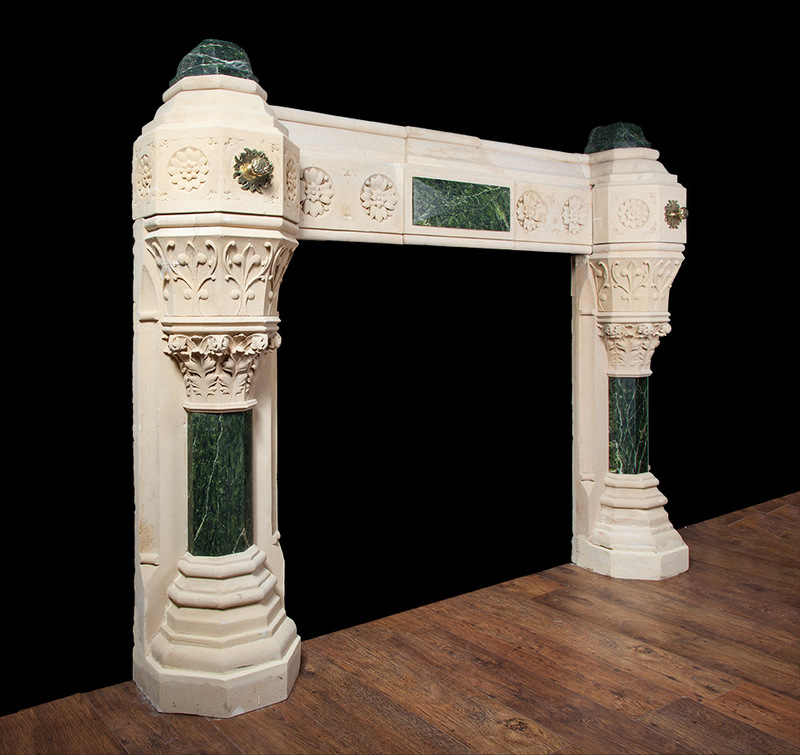 The fireplace is skilfully carved from solid blocks of English Painswick stone and features five polished elements of rare Egyptian Verde Serpentinite. 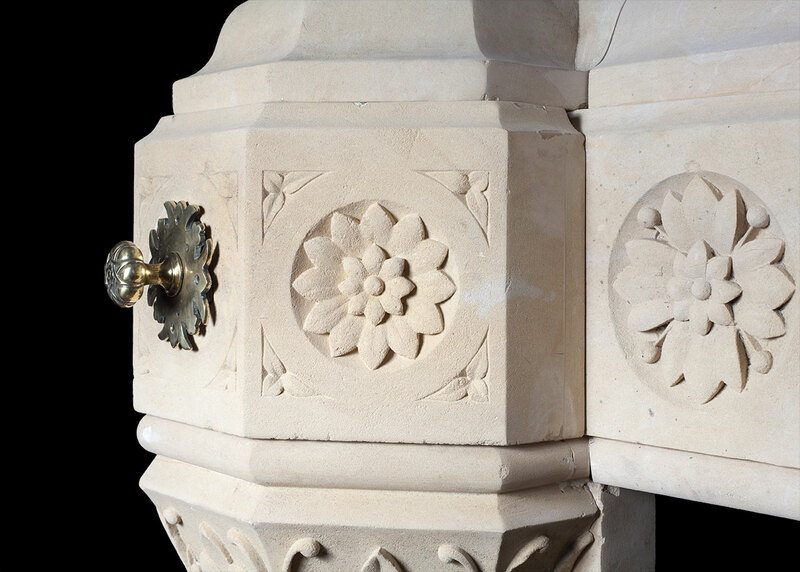 Each jamb has semi-hexagon shape columns, capitals and end blocks, the later two carved with acanthus leaves, fleur de lis and rosettes. 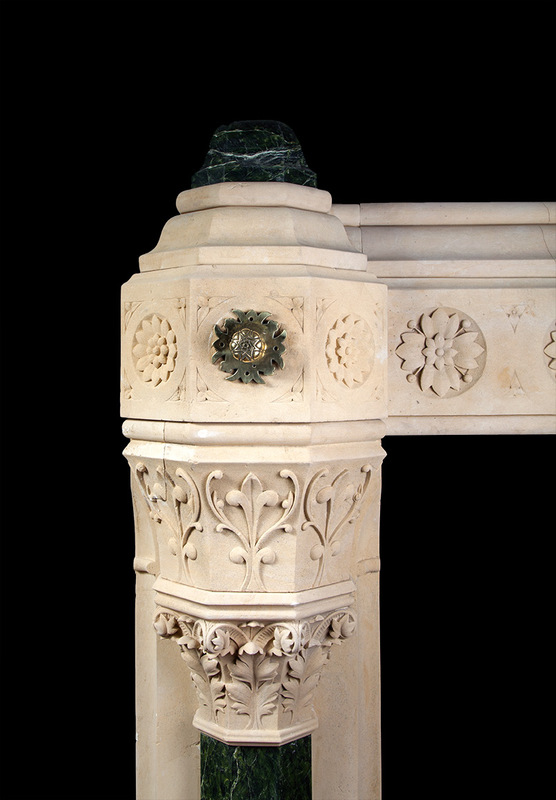 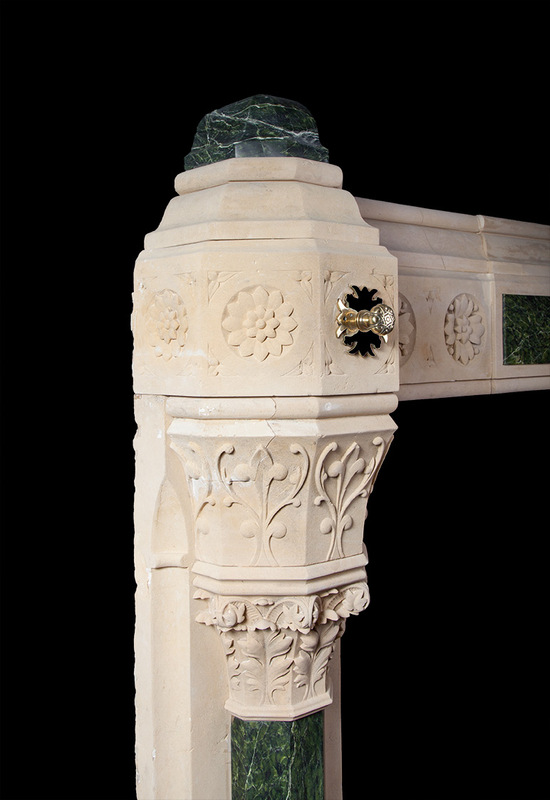 The frieze has a centre tablet of Verde Serpentinite flanked by Painswick stone panels carved with twin gothic rosettes. 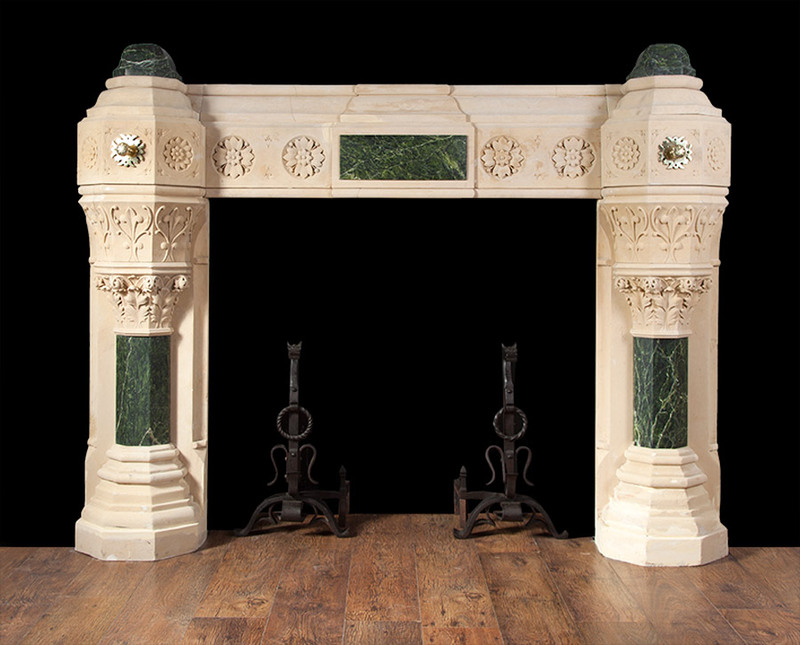 On the face of each corner blocking are original 19th century servant bell pulls, beautifully cast in bronze and made in the gothic revival style. 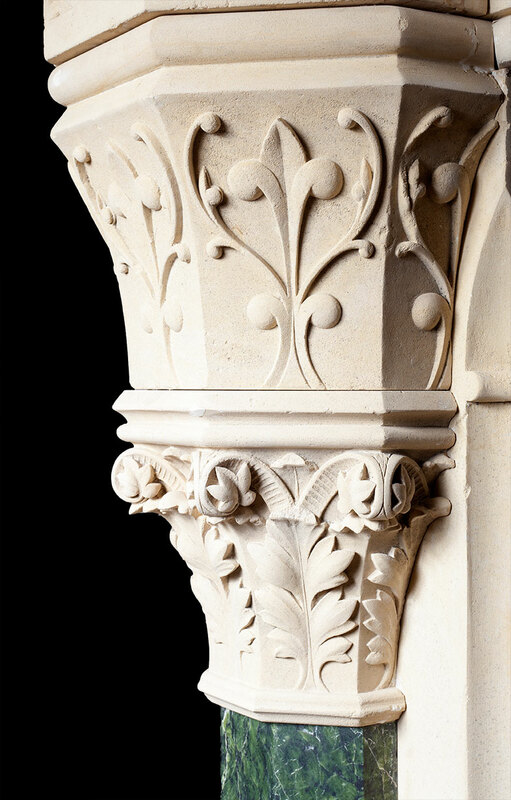 Augustus Welby Northmore Pugin (1 March 1812 – 14 September 1852) was an English architect, designer, artist and critic, chiefly remembered for his pioneering role in the Gothic revival style; his work culminated in the interior design of the Palace of Westminster.